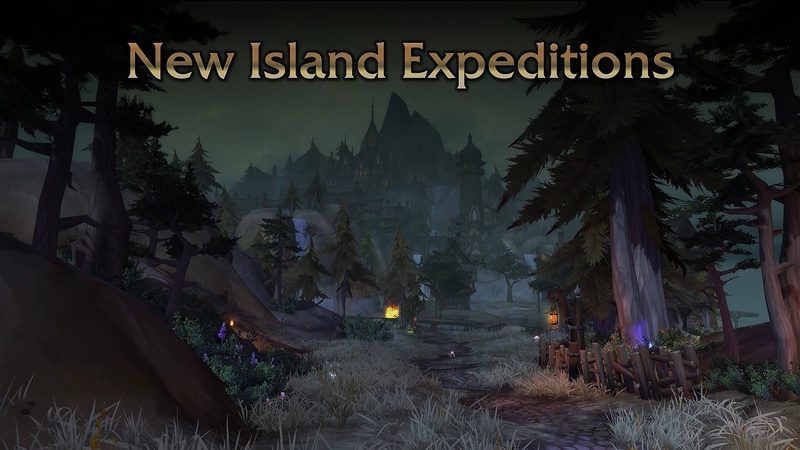 I’d love if some islands had certain story, rather than being just pure randomness, so they’d be somehow similar to scenarios from MoP. More story bits to islands would be awesome, and cool if it didn’t always involve killing everything in sight and instead you could hunt for treasure and only fight the other faction for it. Honestly would be neat if each individual island had a handful of layouts, such as Molten Cay having 3 different maps, rather than just the things on the island being semi-randomized. I still have no mounts from expeditions, so I’m looking forward to this. and b) As happy as I am that these are viable leveling content… as a non-source of gear they’re really not ideal until heirlooms. Your gear remains static, but the scaling marches on. Fix these and islands are appealing again beyond the rep grind!